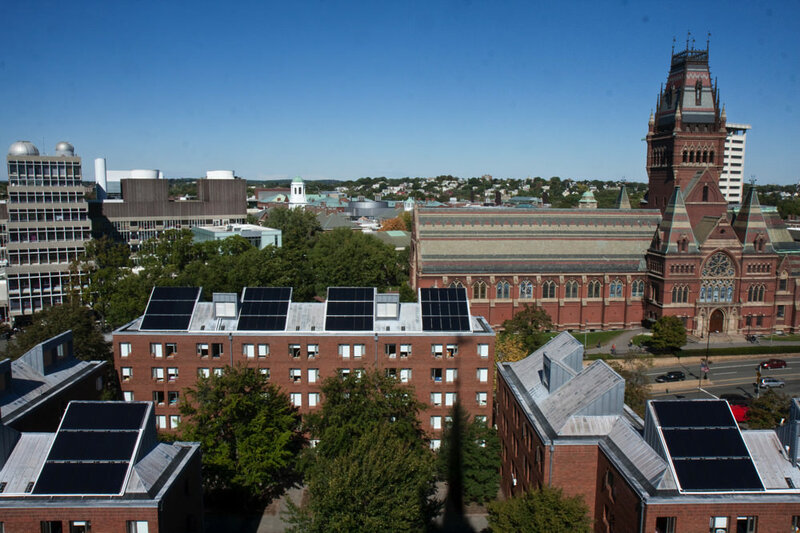 President Drew Faust announced today that Harvard will strive to become fossil-fuel-neutral by 2026, and fossil-fuel-free by 2050. These ambitious goals are being unveiled a year after the University declared success  in reducing its greenhouse-gas emissions by 30 percent from 2006 levels (in part by relying more on electricity generated using natural gas, a less carbon-intensive fuel than those it is supplanting). Expanding its living lab research initiative, bringing together multi-disciplinary teams of students and faculty on campus and in neighboring communities to pilot innovative and creative solutions to the climate crisis. Appointing a new Sustainability Executive Committee composed of faculty, administrators, and students to administer the University’s fossil-fuel-emissions reduction strategy and to provide periodic reviews of progress related to its short- and long-term sustainability goals. Undertaking a strategic-planning process led by Lapp and vice president for campus services Meredith Weenick, with input from Harvard’s schools, to address ways to further reduce reliance on fossil fuels in electricity procurement, transportation, district energy supply, and capital planning. A full statement can be found here . 2/6/18 1:43 PM: In an interview with the Harvard Gazette, Rebecca Henderson explained that the goal for zero fossil fuel emissions by 2050 is because both the cities of Cambridge and Boston have announced that that's the standard they're expecting of institutions by then.